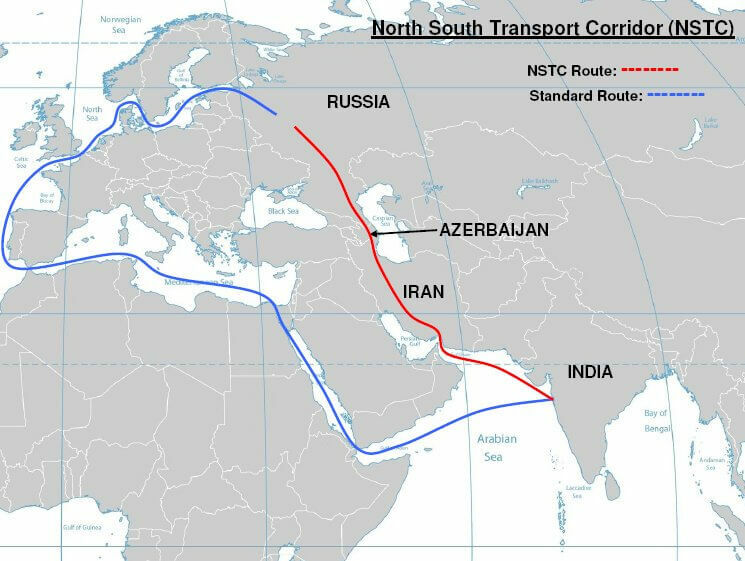 The International North–South Transport Corridor (INSTC) is the ship, rail, and road route for moving freight between India, Russia, Iran, Europe and Central Asia. It is a not a new concept. But the current INSTC project was initiated by Russia, India and Iran in September 2000 in St. Petersburg. The agreement was signed on 16th May 2002. With the coming of the new millennium, we are seeing a protracted effort from the Central government to connect with our ‘extended neighbourhood’. This is obvious from the Look-East-turned-Act-East policy, Link West policy etc. One of the significant corner in our extended neighbourhood is the Central Asia, with which we aim to re-connect, with our Connect Central Asia policy, pronounced in 2012. Central Asia as a podium has received renewed interests after the swearing-in of the new Government. India attaining full membership in the Shanghai Co-operation Organisation (SCO), PM Modi’s historic visit to the five Central Asian countries etc. stand testimony to this. INSTC, or International North-South Transport Corridor, receives special mention in India-Central Asia relations. 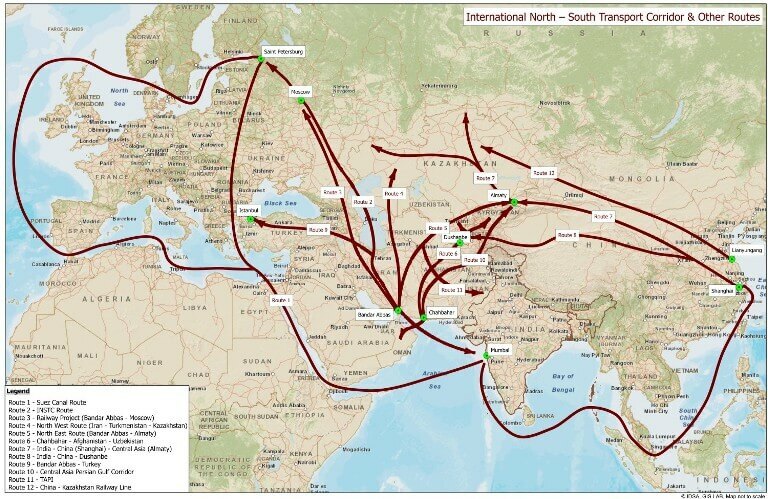 The International North–South Transport Corridor (INSTC) is a multi-modal connectivity project establish transport networks (ship, rail, and road route) for moving freight between India, Russia, Iran, Europe and Central Asia. INSTC would enhance accessibility to the land locked central Asian nations. The current INSTC project was initiated by Russia, India and Iran in September 2000 in St. Petersburg. The modern day INSTC is a multi-modal transportation route linking Indian Ocean and Persian Gulf to the Caspian Sea via Iran, and then onwards to northern Europe via St. Petersburg in Russia. As noted earlier, the founding members are Russia, India and Iran. But since the signing of the agreement in 2002, the progress on the route was slow. But on January 18, 2012, a meeting in New Delhi discussed the various modalities to take the project forward. As a follow up, support from other Central Asian nations were sought, and now the group has been expanded. The current members are India, Iran, Russia, Azerbaijan, Kazakhstan, Armenia, Belarus, Tajikistan, Kyrgyzstan, Oman, Syria, Turkey, Ukraine, and Bulgaria (observer). Turkmenistan currently is not a formal member but is likely to have road connectivity to the corridor, after being formally invited by the PM Modi. Azerbaijan and Armenia are heavily involved in the project with both countries currently building new train lines and roads to complete the missing links in the NSTC. Mumbai is at the southern hub of the route. Route extends to Bandar Abbas in Iran via sea. Bandar Abbas is a sprawling port city on the southern coast of Iran, on the Persian Gulf. It occupies a strategic position on the narrow Strait of Hormuz. From Bandar Abbas to Bandar-e-Anzali by road on Iranian mainland. Bandar-e-Anzali is another Iranian port but on the Caspian Sea side. From Bandar-e-Anzali to Astrakhan by ship across the Caspian Sea. Astrakhan is a Caspian port in the Russian federation. The city lies on the two banks of the Volga River. From Astrakhan to other regions of the Russian federation, and further into Europe by Russian Railways. Chabahar NSTC Integration: India and Iran have a long-standing agreement, signed in 2002, to develop Chabahar into full deep sea port. Bandar Abbas port handles 85% of Iran’s seaborne trade and is highly congested. Whereas, Chabahar has high capacity with plans to expand it from its current capacity of 2.5 million to 12.5 million tons annually. Unlike Bandar Abbas, Chabahar has the ability to handle cargo ships bigger than 100,000 tons. Industry Analysts have highlighted there are long term plans to integrate Chabahar with the NSTC. The Kazakhstan – Turkmenistan – Iran railway link: also known as North–South Transnational Corridor, is a 677 km long railway line connecting Kazakhstan and Turkmenistan with Iran and the Persian Gulf. Southern Armenia-Iran Railway Corridor: As the key missing link in the International North–South Transport Corridor, the Southern Armenia Railway would create the shortest transportation route from the ports of the Black Sea to the ports of the Persian Gulf. Trans-Iranian canal: The idea of linking the Persian Gulf and the Caspian Sea by a canal was developed already in the late 19th century. In 2016 Russia Today reported that the Russian and Iranian governments were discussing the project. harmonization of transport policies as well as law and legislative basis in the field of transport for the purpose of implementing this Agreement. Analysts predict by having improved transport connectivity between Russia, Central Asia, Iran and India, their respective bilateral trade volumes will increase. The Foreign Trade Policy of India, 2015-20, has highlighted the importance of the International North-South Transport Corridor (INSTC) in expanding India’s trade and investment links with Central Asia. The successful activation of the corridor will help connect India to Russia within 16-21 days at competitive freight rates leading to development of trade on the INSTC. At present we have to either use Rotterdam port or land route via China to reach Russia and Central Asia. These are long, expensive and time-consuming. It is also expected to eliminate usage of reefer containers for agro commodities and further support the supplies to Russia. A study conducted by the Federation of Freight Forwarders’ Associations in India found the route is, “30% cheaper and 40% shorter than the current traditional route”. For India, we can have access to the lucrative markets of the Central Asia, by-passing the transit through Pakistan. Indian exports could potentially get a competitive advantage due to lower cost and less delivery time. The INSTC has particular economic and strategic relevance to India given the increasing regional ambitions of China through its One Belt, One Road Initiative. The proposed INSTC trade corridor could help India secure its interests in Central Asia and beyond. Potential of this route is manifold, if India can bring on board its South East Asian neighbours too. The Suez Canal route takes 45-60 days, whereas the INSTC would take 25-30 days. Turkey has offered to provide necessary information for linking Black Sea Economic Cooperation (BSEC) with INSTC. INSTC still doesn’t have a strong institutional mechanism to deal with the operational issues on the ground. Problems related to customs procedure and documentation remain. Issues relating to the funding of the infrastructure needed. Low level of existing containerisation on the route. Lack of a common border crossing rules among the participating nations. Higher tariff by rail vis-à-vis road transport relating to movement from Bandar Abbas. Security problem emanating from Islamic insurgents east, and west of the route, and associated hurdle of high insurance costs. 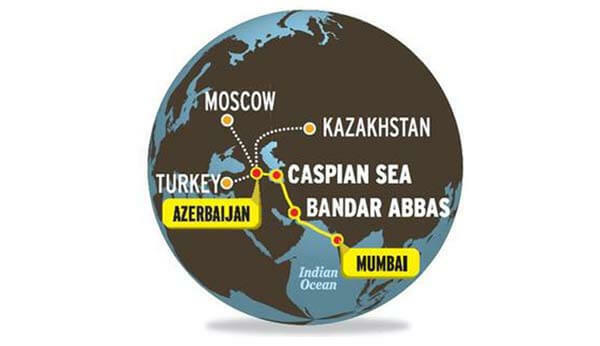 To understand the problem areas and to realise the full potential of the corridor, the dry run was conducted on the Nhava Sheva–Bandar Abbas (Iran)–Baku (Azerbaijan) and the Nhava Sheva–Bandar Abbas–Amirabad (Iran)–Astrakhan (Russia) route via Caspian Sea in August 2014 by the Federation of Freight Forwarders’ Associations in India (FFFAI). The dry run report clearly points out that “the proposed INSTC route via Bandar Abbas in Iran to Russia and CIS Destination in transit through Iran, could be the best route with optimal transit/cost for the Indian exporters/importers”. INSTC is an ideal start to project India as a big global player. Even though the investment is well worth with its economic, political and geo-strategic benefits, it is testing India’s financial backbone. India can do well to rope in other interested parties for partnering in the project, like Japan who also see Central Asia as a lucrative market for its products. 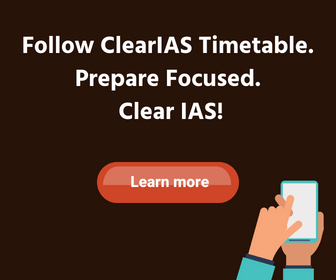 It will help the aspirants to get clear idea to crack the civil service exams.it acts as a guru to show the right way to aspirants. Sir. You are doing great work for all aspirants. Please provide a pdf file of important events of last one year for quick revision before prelims 2016. We didn’t expect such a little mistakes as you written neighborhood instead of neighbourhood. Hi Avi, ‘neighbourhood’ is Commonwealth English and ‘neighborhood’ is American English. As American English is the default in our platform, you may sometimes see these sort of spellings, but in the online age this is common usage. Sir, May I know the Profile ie. background of who is Jishnu J Raju who has written the article.